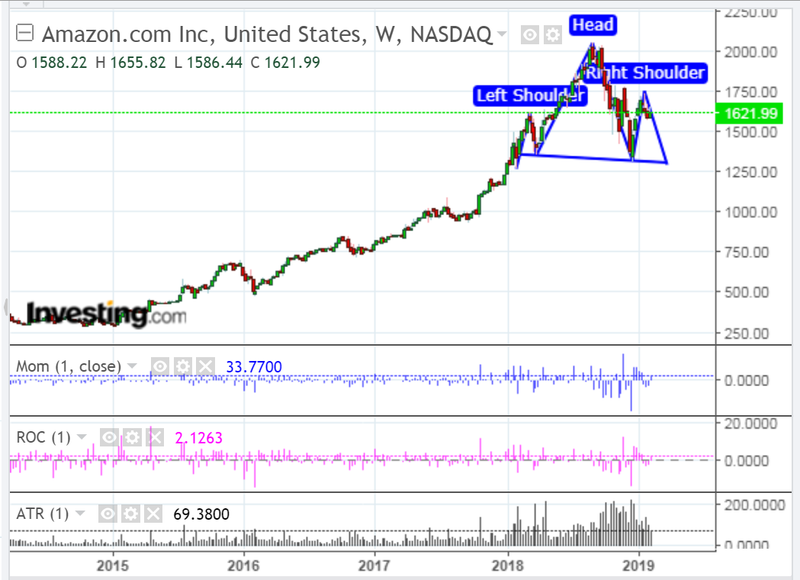 Amazon (AMZN) is forming a potential bearish head and shoulders pattern, as shown on the following weekly chart. We’ll see whether it plays out, in view of their decision today (Thursday) to abandon their project to build their second headquarters in Long Island, Queens…at a loss of 25,000 job for New York. Their statement is here and it describes the political opposition it received. 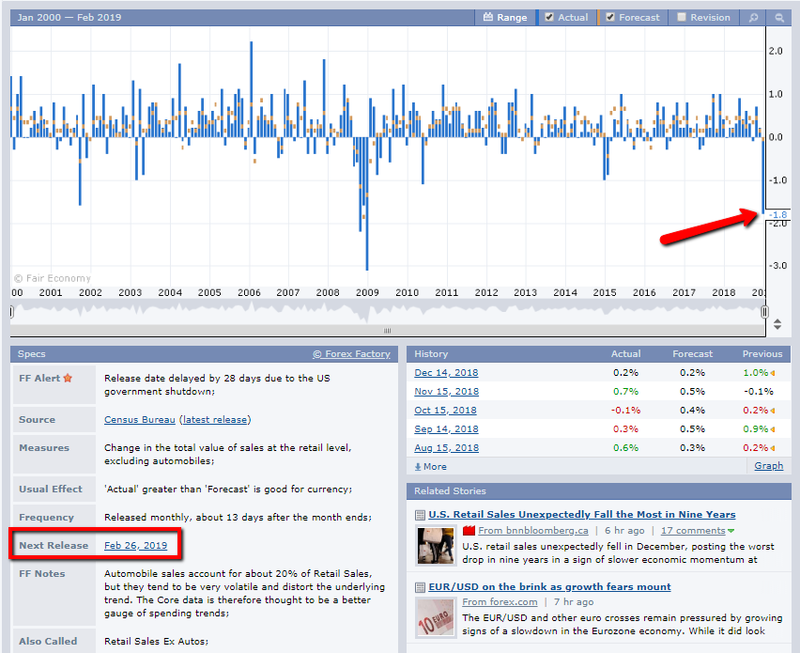 Keep an eye on the momentum (MOM), rate-of-change (ROC), and average true range (ATR) indicators for direction and velocity purposes going forward. I’ve shown their input value as one period to illustrate that more clearly. Core Retail Sales m/m data released today (Thursday) were drastically in the red…a harbinger of things to come, or just a blip? One to watch over the coming months. Another month like this last one could hit AMZN and other retail giants hard.